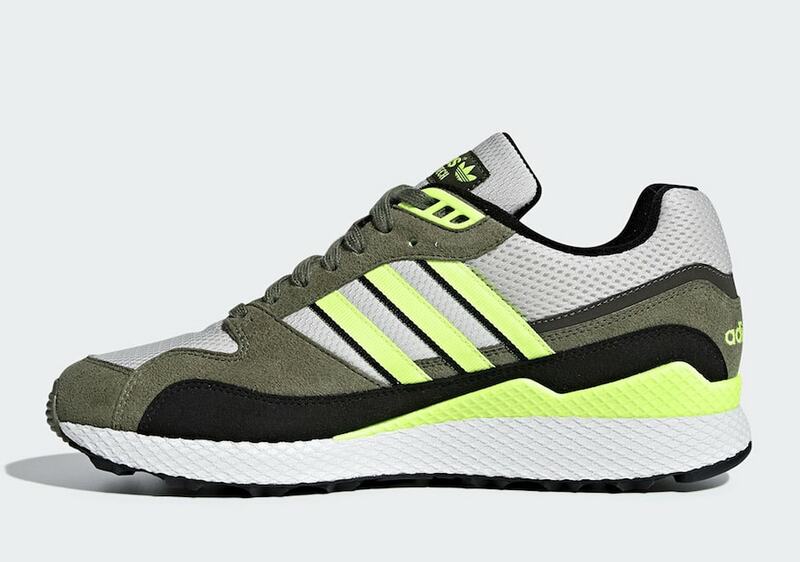 The adidas Ultra Tech is coming back. 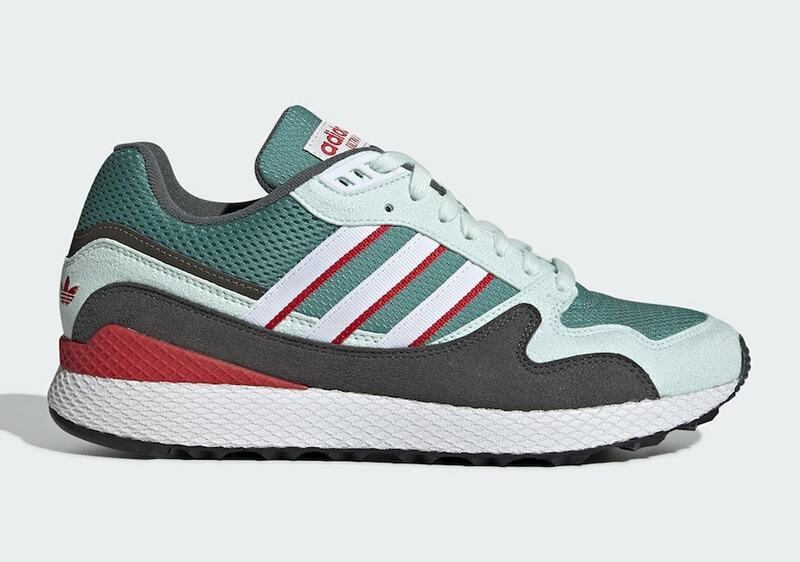 The 90’s runner is a cult classic amongst fans of the brand, and its bulky style is perfect for adidas’ current look. Check out two exciting new colorways, scheduled to launch in March. The adidas Ultra Tech is one of the Three Stripes most legendary shoes. Originally released in 1991, the runner was an incredible step forward in comfort and running technologies, helping to propel adidas into the modern age. Since its inception, Ultra Tech has become a bit of a cult classic. Long-time fans of the Three Stripes know it is one of the brand’s most important silhouettes, as well as one of the most popular. Recently, adidas has spent the last few years bringing out archival silhouettes, including this classic trainer. 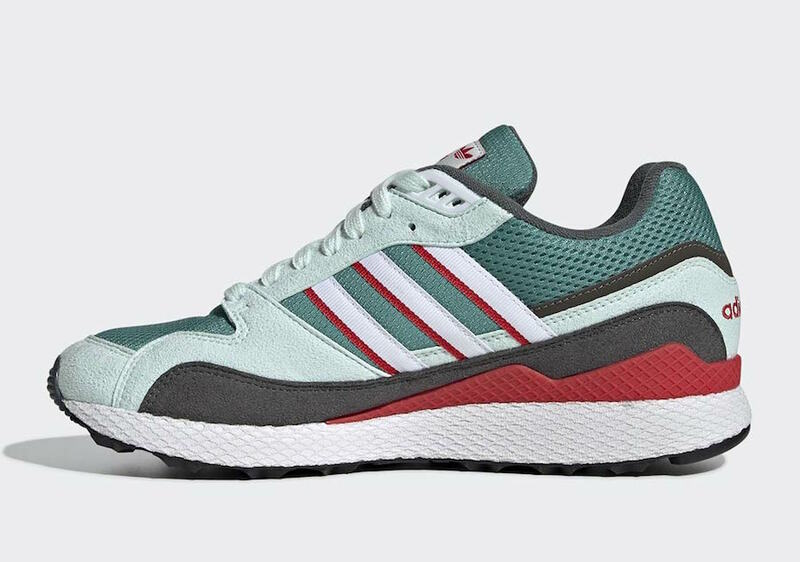 For their first Ultra Tech release of 2019, the Three Stripes has prepared two new colorways, each with a vibrant twist. 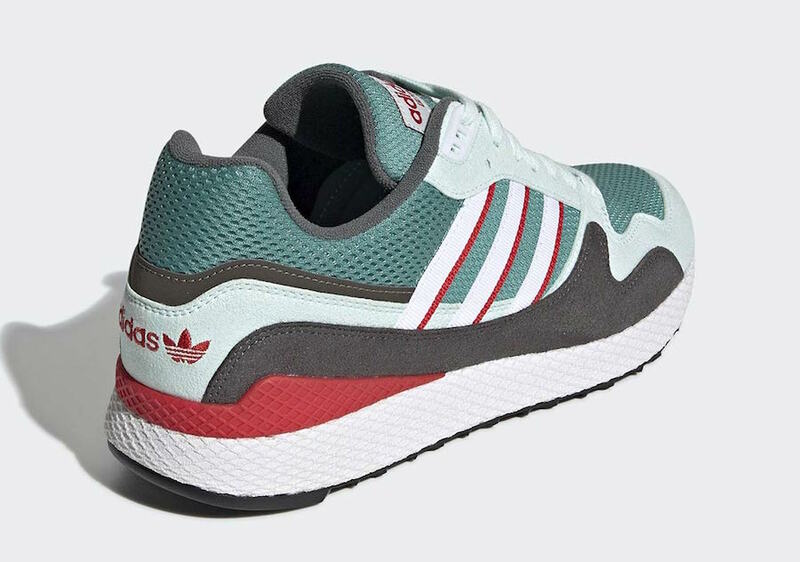 The first pair set to release soon covers the mesh base of the upper in a bright teal green tone, with the suede overlays coming in pale green and deep grey. The heel clip and various adidas branding are done in red to stand out, while a white midsole finishes off the look. Next, the second colorway takes a much simpler approach. The upper begins with a plain white color, built upon by khaki green overlays. 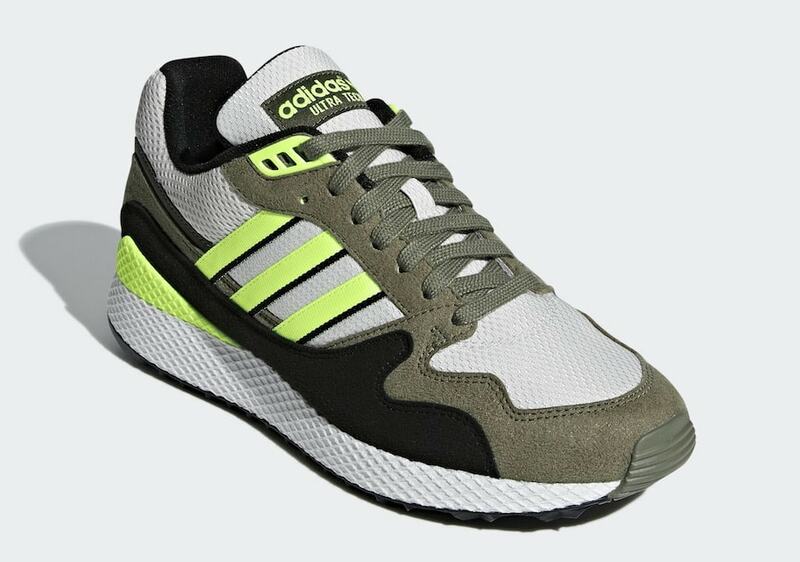 Black suede accents the quarter panels and inner lining, while neon green stripes and heel counters round out this pair. 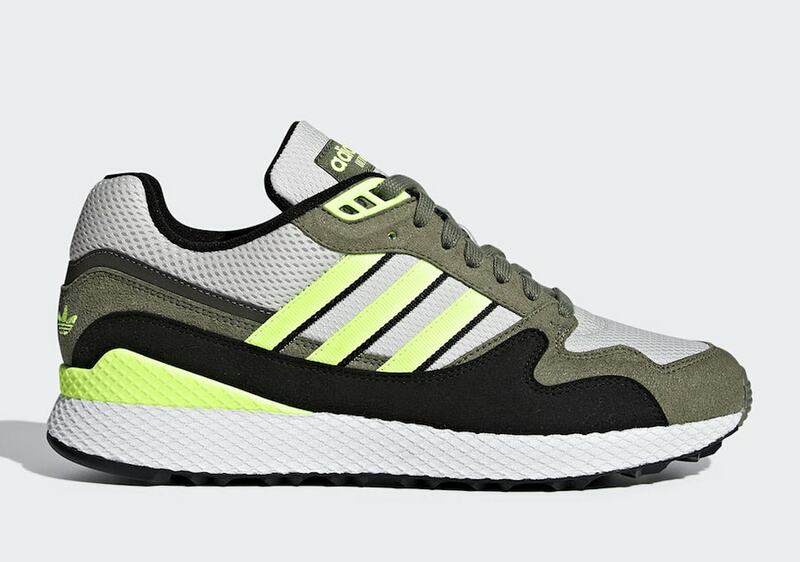 The adidas Ultra Tech OG will release in several new colorways on March 1st, 2019. The set of brand new colorways will retail for a cool $120 and release from both adidas and select retailers. Check out the official images below for a refresher on the 90’s classic, and stay tuned to JustFreshKicks for more adidas release news. The post The adidas Ultra Tech OG Returns in Two Colorways This March appeared first on JustFreshKicks.